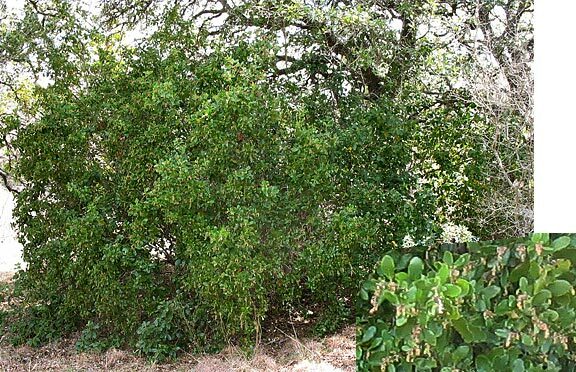 Garrya forms a beautiful large evergreen shrub with drooping branches, which frequently take support from adjacent trees. The dense foliage of one of our silktassel has been the winter shelter for overwintering hummingbirds (both rufous and calliope). It has separate male and female plants, with modest but delicate flowers. 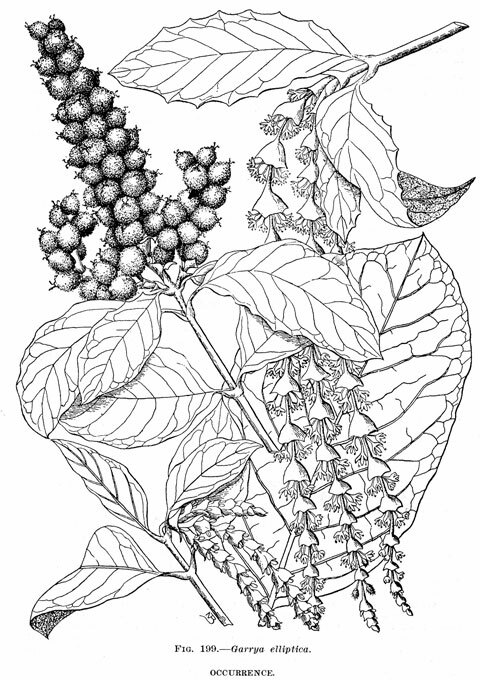 The female plants produce black berries, which germinate readily around the base of the bush. I started my first plants from seed, and although the deer ate the first batch of seedlings, they have since left established plants alone, nor do they browse the volunteers at the base of larger plants, or in moist areas where birds have carried the seeds. Showy catkins appear in winter and spring, and hang like decorative tassels from the outstretched branches. 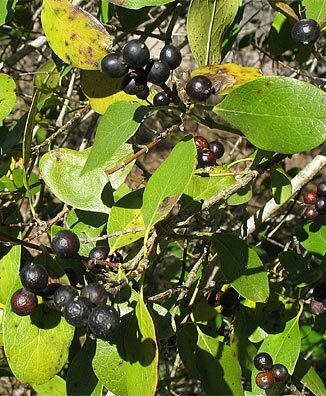 Texas A&M's "Herbarium Specimen Browser" [currently a dead link] used to provide distribution maps for Garrya in Texas — although the maps for the two subspecies were switched; i.e., only ssp lindheimeri occurs on the Edwards Plateau.